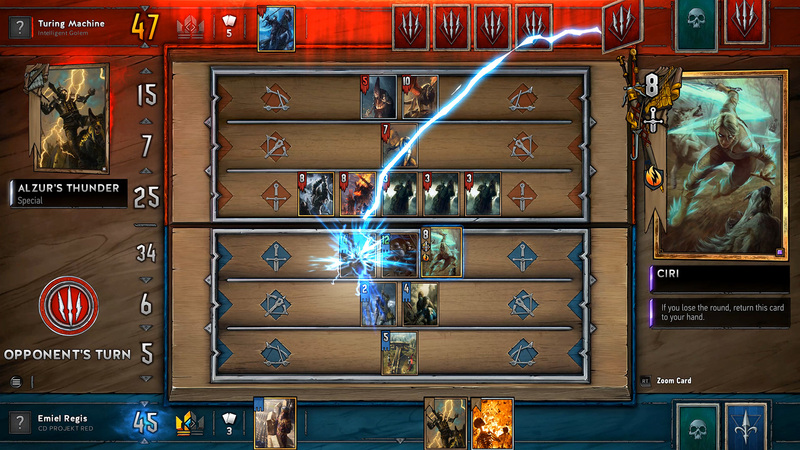 Gwent, the collectible card game originally introduced as an optional side activity in The Witcher 3, has undergone huge reworks and can now be played as a standalone online game against human opponents. And after the first few matches it immediately becomes clear that it is anything but a typical representative of the genre. At first glance Gwent seems to have a lot in common with Prismata, Lunarch Studios' Kickstarter success. In both titles, players place down their cards in three rows in front of themselves to accumulate strength, or "attack", points. While direct interaction with specific units of the opponent does exist, it is not as central to the core gameplay as in more traditional CCGs such as Hearthstone or Magic: The Gathering. The focus lies on long-term investment decisions instead of encapsulated tactical puzzles. Both games also emphasize the importance of player skill and try to minimize the role of luck. While matches do always play out a little differently, there is way more consistency overall compared to the genre competition. This trend continues in the mostly completely deterministic card effects and special abilities. The course of a match will generally be shaped by well-planned actions as opposed to, only superficially spectacular, "jackpot" moments. Gwent (on the left) and Prismata seem quite similar at first. In general, this is a very laudable endeavor. Prismata however has the problem of going too far into that direction. The deeply mathematical nature of its core system in combination with a total lack of hidden information, can easily and regularly lead to oppressively stressful situations. And in those, intuition and strategic consideration take a backseat, and the raw calculation of the best possible sequence of actions dominates the gameplay. The following sections will feature an explanation of how the Witcher card game manages to avoid those problems while deliberately making use of its mechanical structure to multiply its depth without sacrificing its accessibility. First of all, Gwent is (in contrast to Prismata) clearly a card game at its core. 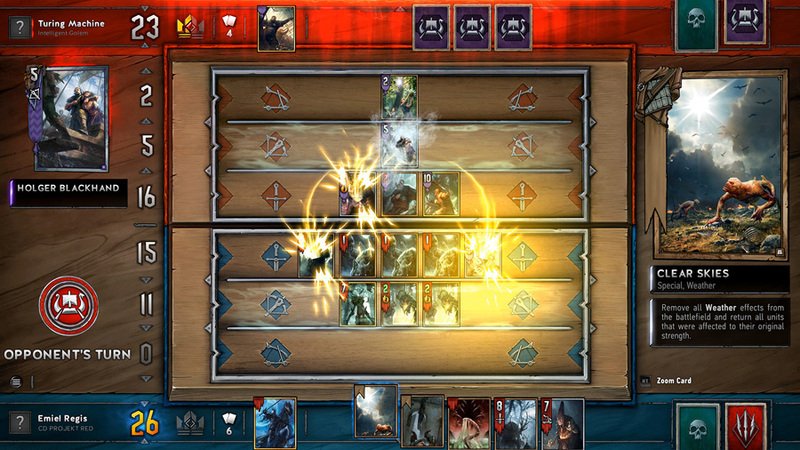 During a match, players draw from previously constructed and shuffled decks. The opponent's hand stays hidden at all times unless special card effects reveal that information. These characteristics alone make luck a significant factor in the game. However, there are quite a few counter-measures. For example, decks are relatively small and only contain 25 cards, and most of them (the "bronze" cards) can be included in triplets. Ten cards are drawn at the beginning of a match, up to three of which can be replaced ("mulliganed") immediately. Players do not draw cards after each individual move, but only at the beginning of round two (2 cards) and three (1 card) of the "best of three" format. That means players are able and also have to plan the whole match around the core of their starting hand (which will always be played out completely in the end) right from the start. There is a thin line between methodical strategy and card-based chaos. On top of that, the deck can be manipulated by several card effects that allow players to redraw or resort cards, or put them on the discard pile ("graveyard") to then make use of special synergies such as "resurrection" abilities. This in turn leads to even more consistency. 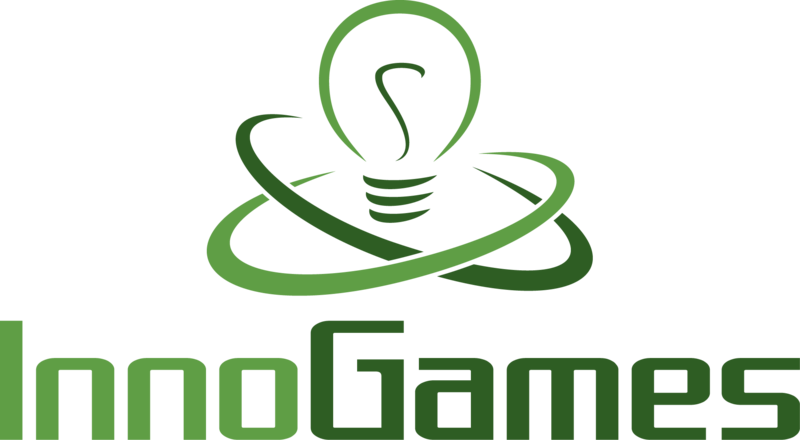 Players will usually be able to (in countless variations) pursue the specific strategy their deck is built around. They are not just victims of random events. Nevertheless the game stays unpredictable. 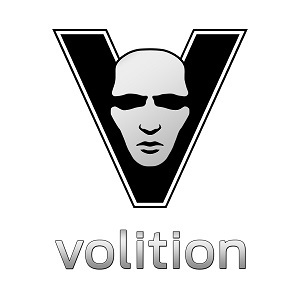 There is enough hidden information, so that players frequently have to rely on their intuition to make decisions. In a way Gwent represents the "missing link" between the often very random Hearthstone on the one hand, and the extremely mathematical and computable Prismata on the other. The same is true in terms of how the basic flow of the game is structured. Matches of Hearthstone can, due to their narrow information horizon, often feel like sequence of puzzles, generated turn by turn and only loosely connected. There is little to no time to react on things (keyword: "topdecking"). Put differently, the strategic "arcs" are short, the duels around board control therefore very tactical. In contrast, a match of Prismata quite regularly comes down to one single long-term arc. The player has all the information from the start of a match and can immediately start evaluating the best possible strategy given the set of available units. In most cases players stick to their chosen path until the very end, sometimes with small adjustments due to the opponent's course of action. Therefore there is an imbalance between the very important early turns and the often irrelevant later turns. This results in regular phases of "downtime" and makes the game rather difficult to get into. And once again, Gwent manages to strike a better balance. As mentioned above, players have to take two out of three rounds to win a full match. Rounds can be regarded as intermediate goals, i.e. smaller arcs. A round lasts until both players have decided to pass. Until then they take turns playing any single card from their hand. There is no "mana" and no resource production. The cards themselves, i.e. their strength values and special abilities, are the only finite material in the game. Consequently this leads to some very tense dynamics. Whoever passes first can potentially obtain a valuable card advantage for the future, even though that might mean giving up the current round. 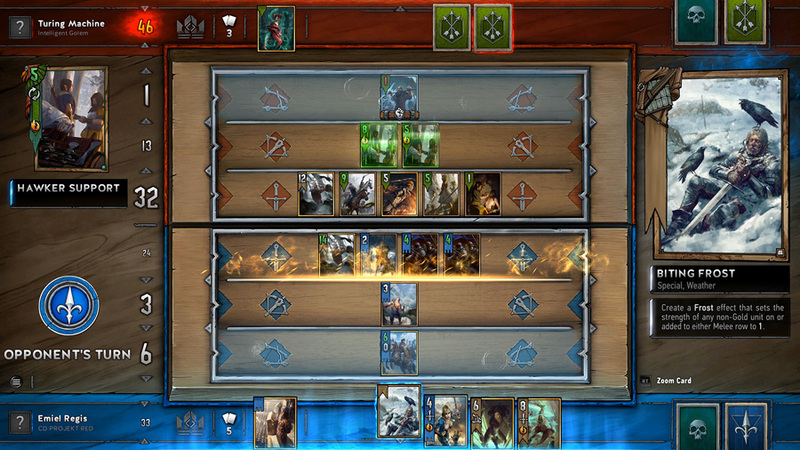 "Ciri" (right side of the screen) aims at creating a long-term card advantage. Further there are many more implications of this specific round-based structure. For example, whoever loses the first round is immediately under pressure in the next one. The leading player can make use of this and try to "bleed out" the card hand of his opponent before going into the decisive third round. If there are only a couple of cards left to be played at this point, it generally comes down to the raw power level as it is not possible to build up big multi-card synergies anymore. Pacing oneself and holding onto certain cards until "their time has come" are core elements of the game and gain a lot of depth in the context of the relations between moves, rounds and the match as a whole. On top of that specific deck synergies can be built around these aspects to support vastly different play styles. Altogether, Gwent's design manages to find a happy medium in multiple facets and avoids many typical design pitfalls of its genre. The game is chaotic enough to provide long-term variety, but always makes skill and strategy count in the end. The round-based structure results in a pleasant mixture of short-term and long-term goals and adds nuance and depth to the decisions. 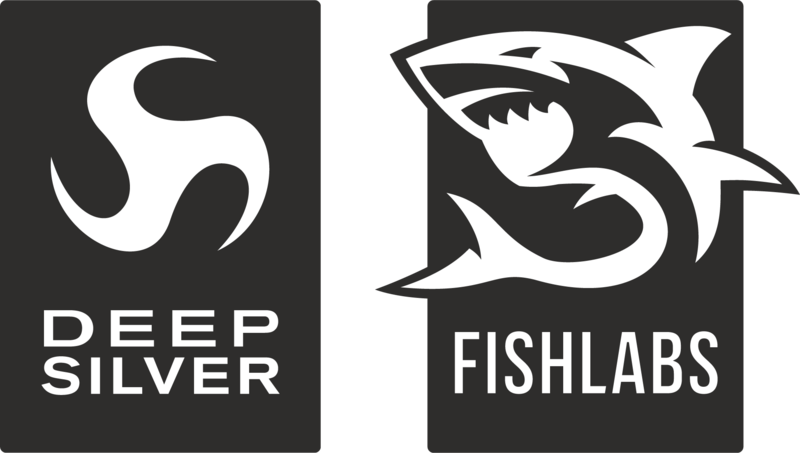 If CD Projekt manages to retain these strengths in the light of inevitably growing card pool, a golden future among strategy fans and also eSports lies ahead of the game. Whoever controls the weather also controls the board. Now, there is a catch of course. Gwent's business model is "free-to-play" and it suffers from the well-known drawbacks of that approach. Players buy randomly filled "card kegs" and slowly grind to extend their collection, or pay real money to speed up the process. To keep pace competitively, having access to expensive "epic" and "legendary" cards is key. It is possible that this is simply a financial necessity these days. However from some players' point of view it might still be suboptimal. Nevertheless, card players and fans of turn-based games in general will find a lot to like in the game. Beyond the quarrels of its monetization scheme, Gwent definitely has the potential to become one of the best competitive strategy games ever made. On top of that it already managed to raise quite some attention during its currently running beta phase (even among some Hearthstone pro players). Given the game's quality and the popularity of the Witcher brand, it seems very likely that it will be able to establish itself on the market in the long run. And if the "collectathon" is without alternative anyway, you might as well choose to take part within the best game of its kind, right?